Tiffany knows right away: Grandma broke the internet. The whole thing! Her brother, Max, doesn’t believe it at first; after all, he knows a thing or two about it, and you can’t break the internet with a double-click. But still: nothing works now. At first it’s really strange, being completely cut off from the internet. But when the pizza delivery man comes by (he can’t nd the right street because his GPS doesn’t work anymore), it turns out to be a good time after all. 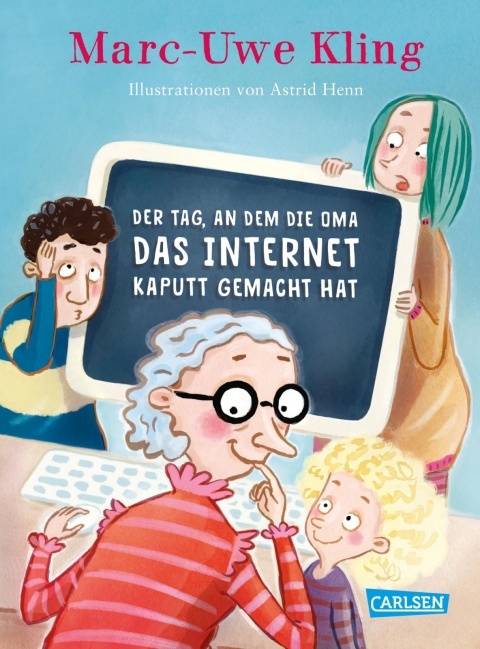 Selected by New Books in German!